Along with manufactures that no longer trade such as Eldon, Strombecker and Cox and their more modern counterparts producing GT40s there is a large selection of models on offer both new and used to be collected. 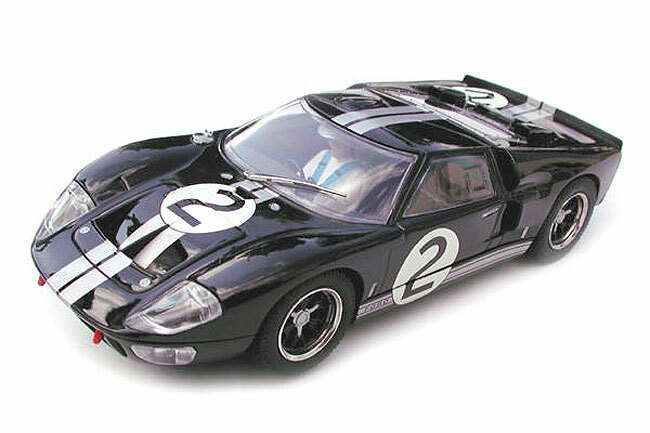 GT40s recreated in 1/32 include the MKI, MKII, MKIV, Roadster and the contemporary Ford GT. 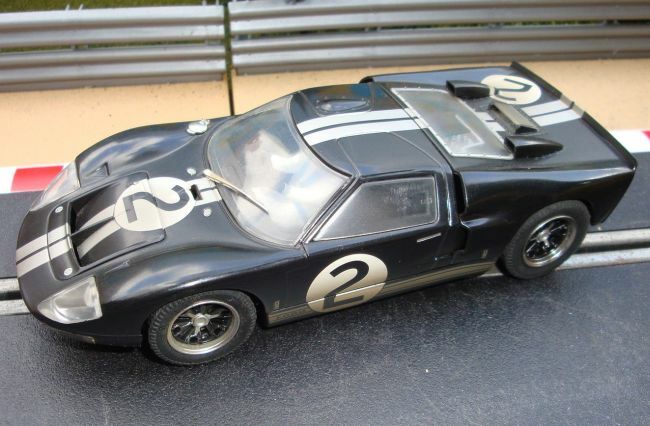 There are a large number of manufacturers producing GT40s including small cottage industries such as MMK and Le Mans Miniatures. 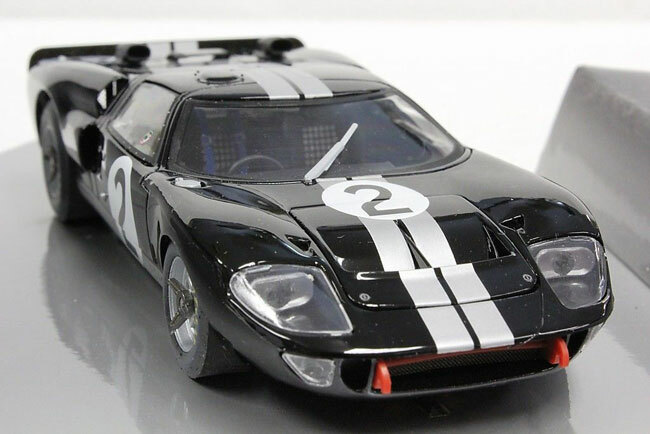 This website endeavors to cover all GT40 slotcars ever produced in 1/32 and 1/24th scale and even a few scratch built one off models built by slotcar enthusiasts that just want more than what is on offer. 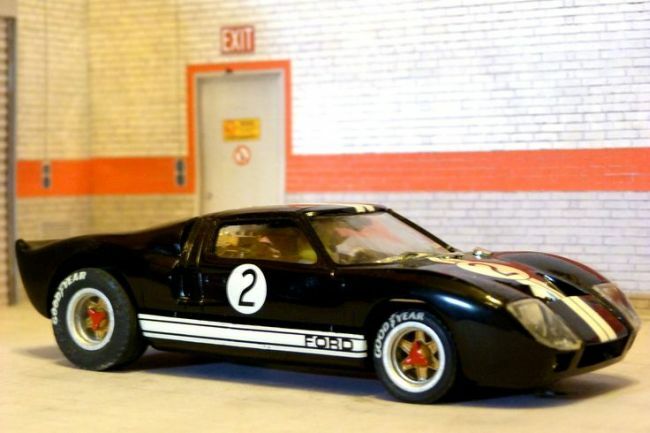 I am not aware of any other website solely created for GT40 slotcars and hope that this one becomes a great resource, for collectors and admirers alike. If you would like to contribute to this resource please contact me via the Contact page. Although we have been active on Facebook, there has been a long hiatus from this website. 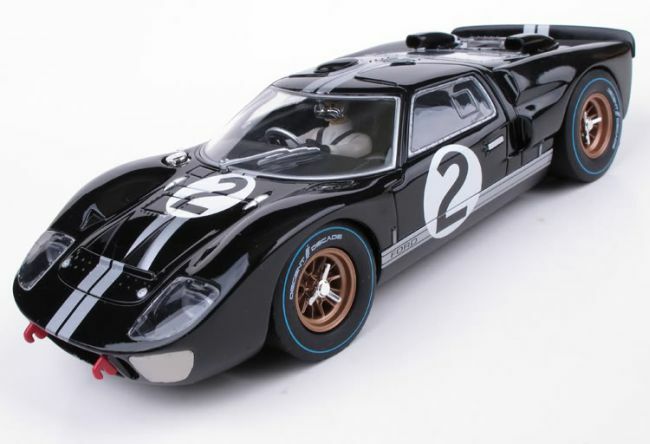 Although the vintage pages will remain fairly static the modern manufactures are still producing wonderfull examples of this beloved car and we will endevour to update these pages begining with all the new offerings from Scalextric over the past 2 to 3 years. 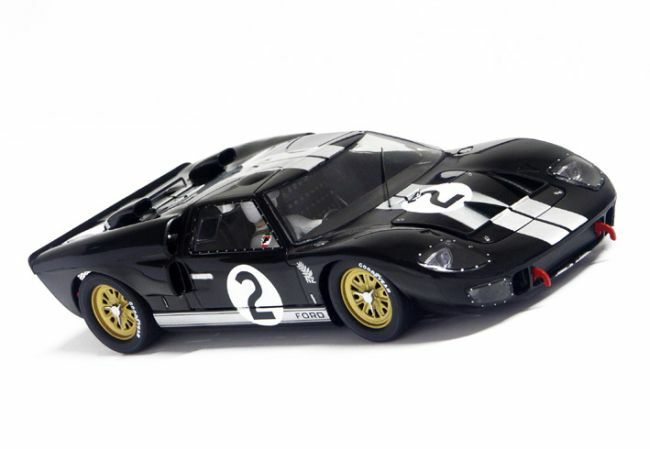 An entirely new section (GT40 Kits) dedicated to static model kits. Starting with: Airfix. This section will cover 1/32, 1/25, 1/24, 1/16 and 1/12th scale kits.